When it was released in 2010, Foster The People’s indie-pop anthem Pumped Up Kicks became a moderate hit, reaching multitude 18 in the UK charts. But the LA band’s debut single is experiencing a second loan of life on streaming services. 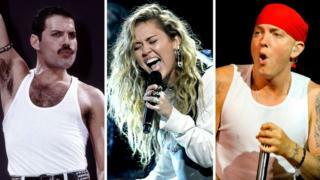 Last year, it was the UK’s most-streamed sung of all the records released after 2010, thumping strikes like Lady Gaga’s Telephone and Cee-Lo’s Forget You, which outsold it at the time. Pumped Up Kicks was toy 21 million times last year, according to the BPI, which has divulged the UK’s most-streamed psalms based on the year they first came out. The recording industry organization said 90 billion anthems were streamed in the UK last year, an increase of 33.5% from 2017.